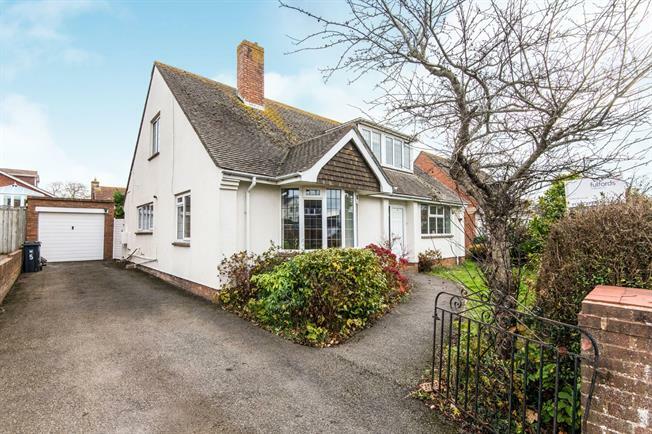 4 Bedroom Detached House For Sale in Exmouth for Offers Over £415,000. A spacious three/four bedroom detached house offering highly flexible accommodation and incorporating a self contained one bedroom annexe suitable as an additional income stream or for family members. The main house comprises of the entrance porch and large hallway, lounge, dining room and large dining kitchen. On the first floor is the master bedroom and second double bedroom. Within the annexe is the lounge diner, kitchenette, bedroom and bathroom. With gardens, driveway, larger than standard garage and some sea views, viewing is highly recommended.